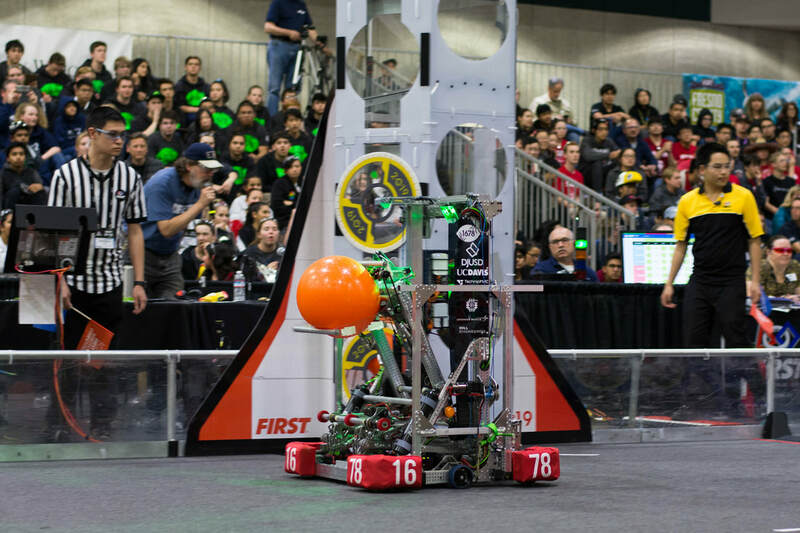 2019's robot, Buzz Lime-year, was prepared to compete in FIRST's challenge: DESTINATION DEEP SPACE Presented by Boeing. Our robot was able to pick up cargo (rubber playground balls) and hatch panels (flat disks) and place them on three different levels. It was also able to climb the highest level platform, and lift two other robots with it. 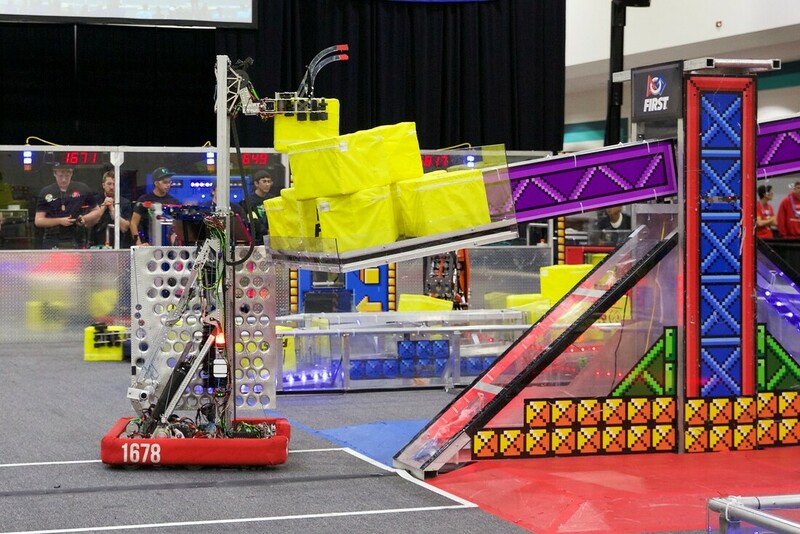 2018’s robot, Lemon Zest, was able to pick up a cube the size of a milk crate, place it on a scale or switch, and climb a metal rung to ‘beat the boss’. 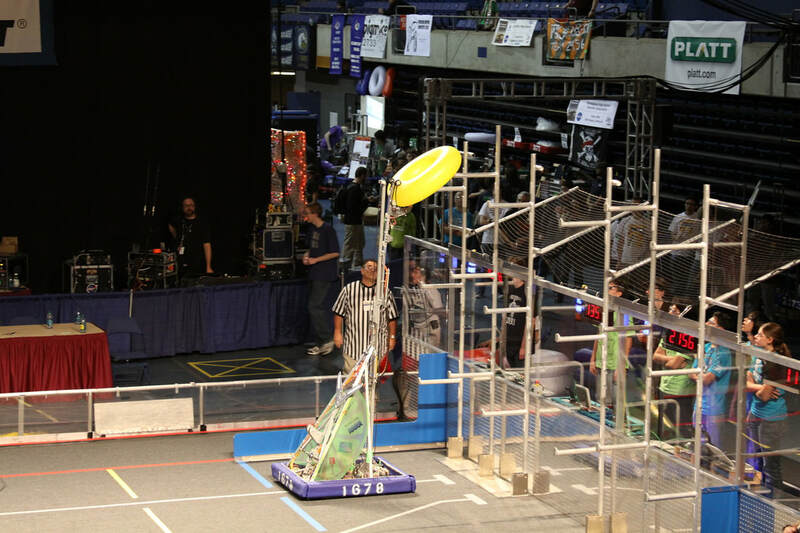 The robot climbed using a metal hook, which fully extended to 80 inches and could simultaneously lift a second robot using a metal platform. ​Our 2016, three-time regional winning robot was named Adrian. The FIRST stronghold winner was equipped with nine air tanks, was able to shoot balls about 11 feet, and drove at a speed of 10 mph. Adrian was also able to move over, through and around all of the field defenses, including the low bar, moat, cheval de frise, and portcullis. Our 2015 competition robot, named “Lemon Drop,” competed in Recycle Rush. 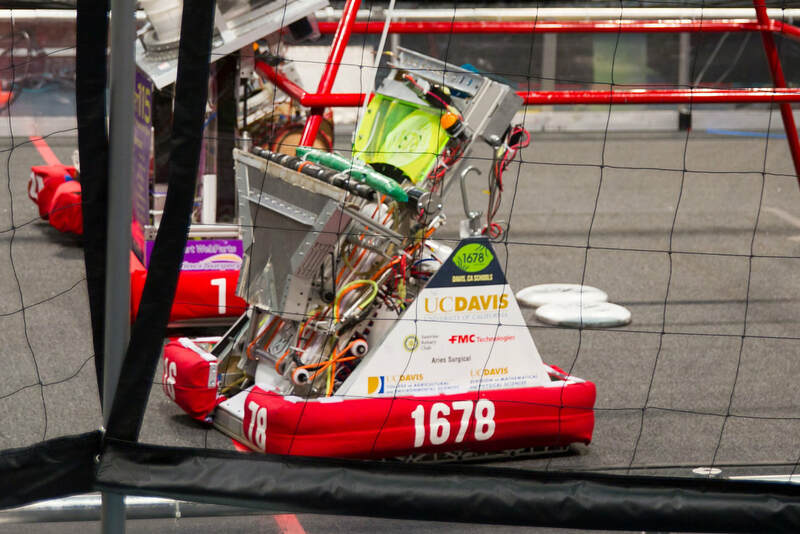 Lemon Drop was part of the Championship Alliance in the 2015 FIRST Robotics World Championship. Our 2014 competition robot was named “Beca.” In Aerial Assist, Beca flew across the field with two intakes and a high powered catapult that picked up balls and shot them over the truss and into the high goal. Beca mainly played midfield but had the ability to quickly adapt to changing strategies, as she could effectively inbound and score balls in the 10 point goal. 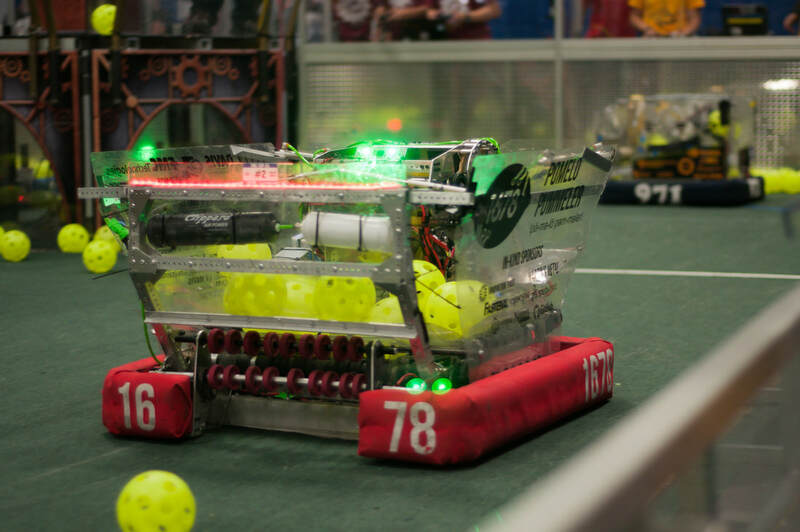 Our 2013 competition robot was named “The E-lime-o-nator.” The E-lime-o-nator had the ability to intake Frisbee discs from the ground, shoot them into the high goal as hang from the pyramid for 10 bonus points at the end of the match. 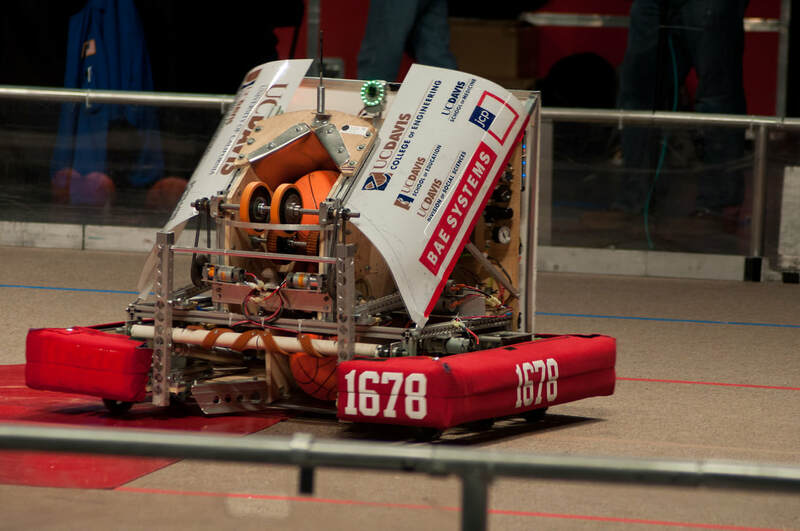 ​Our 2012 competition robot was dubbed “The Juicer” after an incident involving 72 teeth sprockets. The Juicer was capable of shooting foam basketballs into 96-inch-tall basketball hoops and balancing on teeter-totter-like bridges. ​Our 2011 competition robot was named “Optimus Lime.” Optimus Lime was capable of scoring two full logos, an ubertube and a minibot. 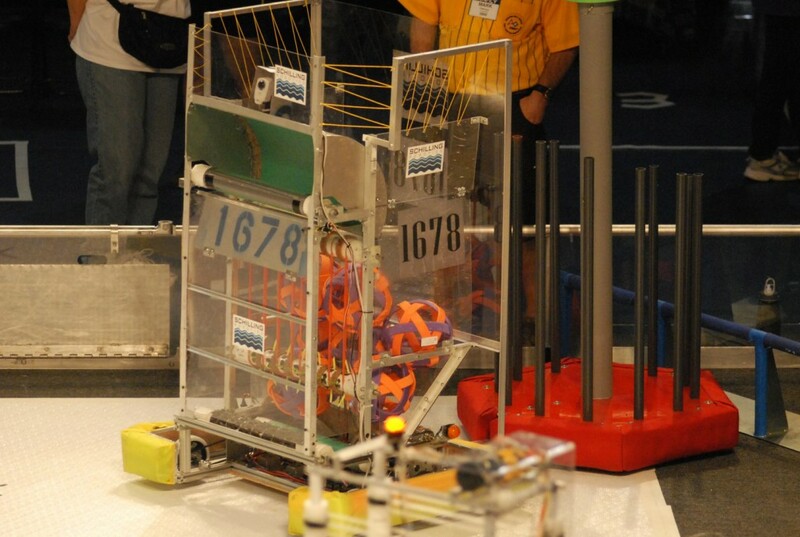 Our 2010 competition robot was named “Orange Crush.” Orange Crush was used in the Breakaway competition. It scored by shooting soccer balls into goals, and in the end game it deployed an arm in order to pull itself onto a tower. 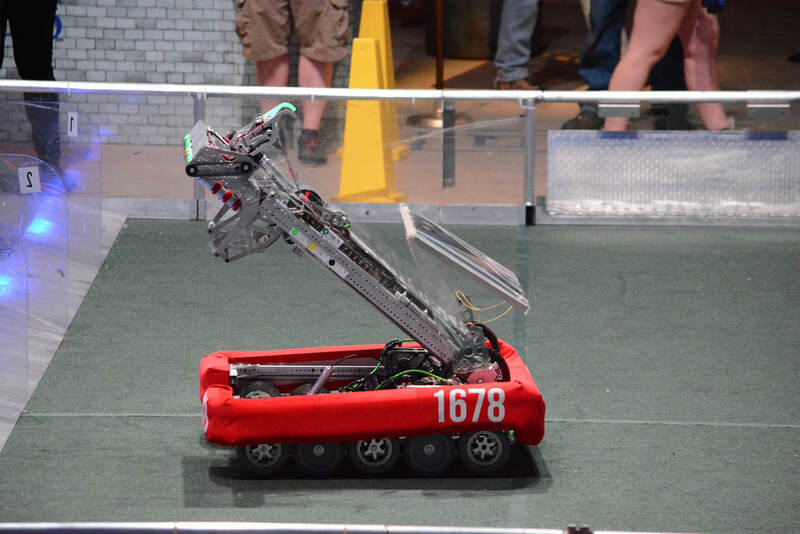 ​Our 2009 competition robot was named “Lemon Squeeze: Juice Master 1678.″ It was capable of both picking up stray “moon rocks” from the ground and receiving moon rocks thrown by the payload specialist. The moon rocks were stored in the hopper, with a maximum capacity of 30 balls. When ready to score, a conveyor belt system carried the balls up and out of the robot, shooting them at point-blank range into our opponent's trailer. It took less than 10 seconds for Lemon Squeeze to unload a full hopper.